Admittedly, it takes a bit of an effort to get there, especially from far-away countries. But then again: who says that the good things in life are to be had in passing? Ask Reinhold Messner: If there were more „eight-thousanders“ to be conquered, he would most likely have done so and still always have chosen the most challenging variety of ventures. 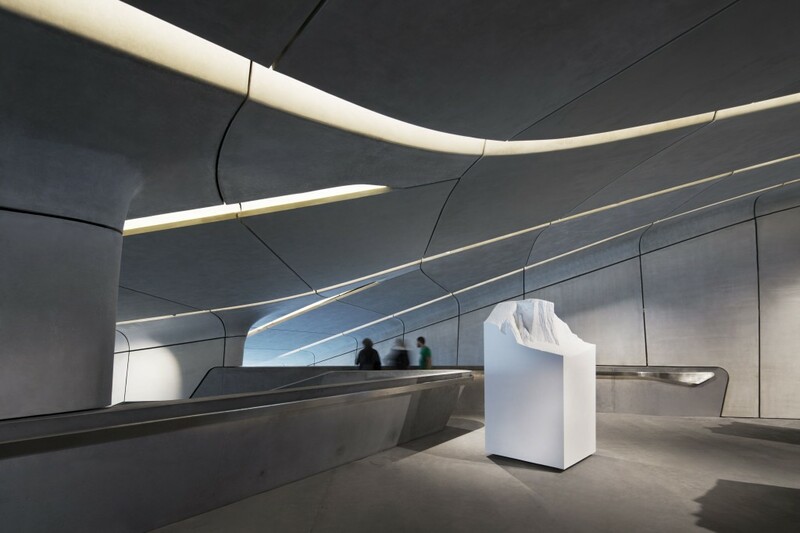 Similarly extraordinary and not seldom daring, are Zaha Hadid’s architectural structures which reliably become prized icons one by one – wherever and for whichever purpose they may have been established. The intriguing element uniting the random duo seems to be that reaching for the skies is an inborn ambition, and that achieving the utmost a natural consequence. 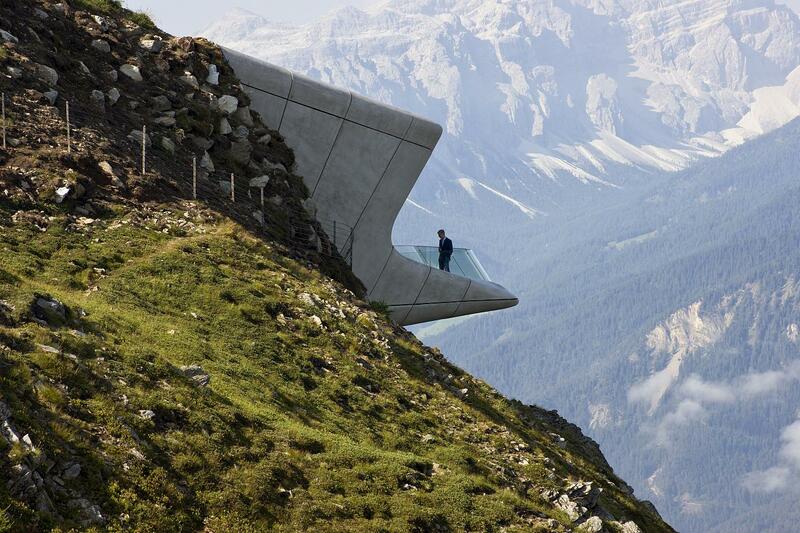 Both personalities’ visions and disciplines merged, result in remarkable projects such as the Corones Museum, submerged into the South Tyrolean peak of Mount Kronplatz 2,275m above sea level. Reinhold Messner: „On Kronplatz I present the development of modern mountaineering and 250 years of progress with regard to the equipment. I speak of triumphs and tragedies on the world’s most famous peaks – the Matterhorn, Cerro Torre, K2, and shed light on alpinism with the help of relics, thoughts, works of art and by reflecting the outside mountain backcloth in the interior of MMM Corones.” The museum’s central topic revolves around „rock“ and the lives of mountaineers and climbers and displays a unique collection of objects, images and tools compiled by Messner. Inside, waterfall-resembling staircases cascade through the museum. At the lowest level the terrace, projecting six metres from the mountainside, offers a spectacular 240 degree panorama view across the Alps. „Six places – six exhibitions – six experiences“ stand for a unique enterprise dedicated to mountains and their culture. The Corones is the latest – and last – addition to the network of Messner museums all located in extraordinary sites within South Tyrol and Belluno. They have been established to become „a place of encounter with the mountains, with mountain people and ultimately with ourselves.“ The other five are: MMM Dolomites/Firmian/Juval/Ortles and Ripa. Round trip tour tickets are available. Header image (cropped): ©Werner Huthmacher All images depicting the Corones Museum are courtesy of ©Zaha Hadid Architects.